Hello my lovelies! Long time no see! I promise that this time I am back for good. The reason I've been away this long was a huge exam that is an important milestone in my career as a doctor. I've been studying for this for months and months, to the point where I wasn't doing anything else. I even stopped doing nail art. This weekend, after weeks and weeks of wearing just a plain nail color on my nails, I did some nail art again. It seems that it's something that you don't forget so easily. I remembered how much fun it was to do and I think I'm gonna stick with it in the future. I also missed blogging so here I am! This is the first post exam manicure. 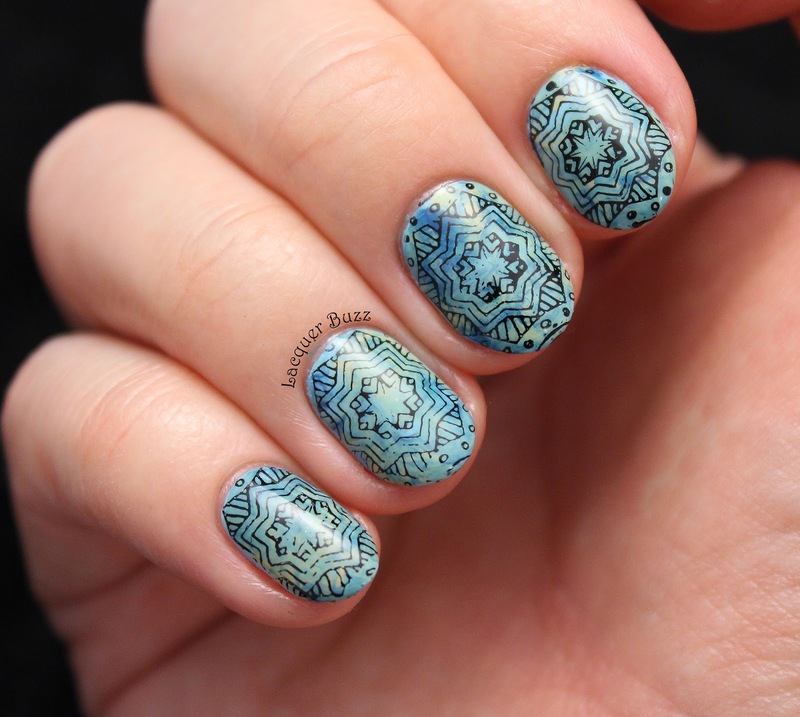 The base of this nail art is a stamping marble of course. 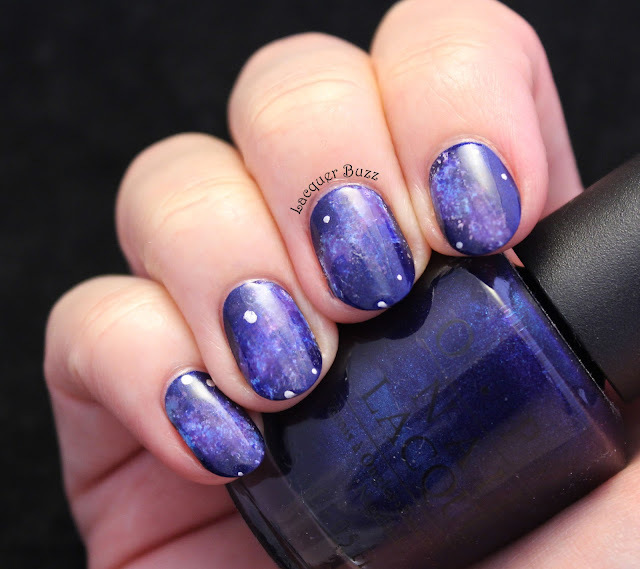 These are so easy to do and create such a nice effect and a canvas for stamping. It's also a perfect way to use multiple colors that go well together, I started from the wish to use teal (China Glaze Shower Together) and then added a light blue (Kiko 340) that matched. But these colors looked a little boring together, so I needed something extra to make a bit of a contrast. I ended up using China Glaze Kalahari Kiss, a sand toned polish that is quite unusual for me. I haven't worn this one in years because I don't have the tendency to reach for colors like this. It looked perfect in this combo though, so I was very happy. The teal and blue polish ended up mixing quite a bit and yielded sort of an aqua color. I didn't mind it at all, because it goes well with the desert and oriental theme of this color combo. This summer I acquired a few new stamping plates from which I selected the one I used here, Moyra 48 Colorbook. 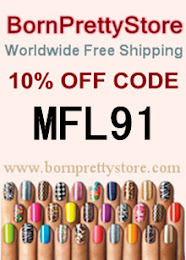 I stamped using Mundo de Unas Black and the Fab Ur Nails Clear Jumbo Stamper. The star pattern didn't transfer perfectly on all the nails and it isn't perfectly centered, but I still love the result. I'm so happy that exams are finally over and I can do fun things again! 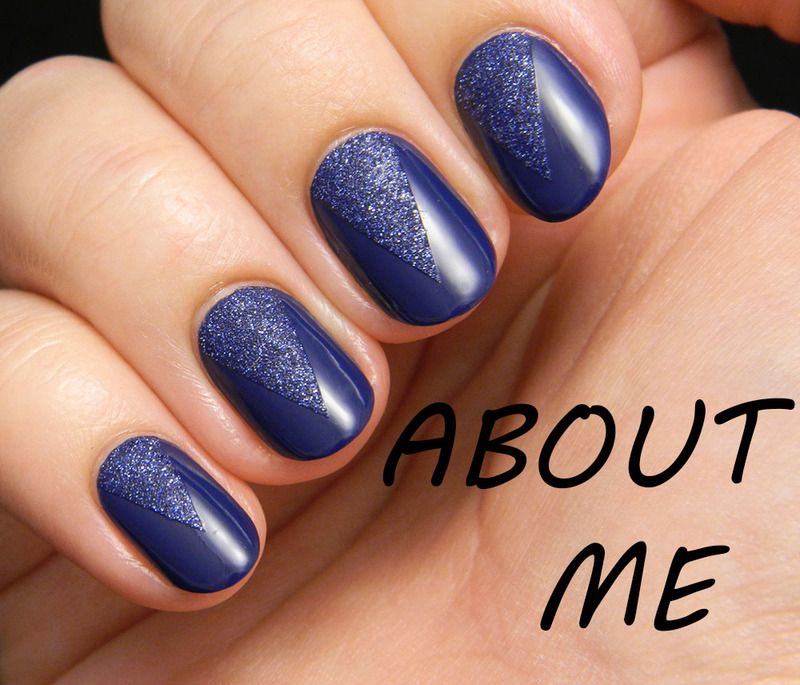 I still have some manicures from before the break to show you so stay tuned! 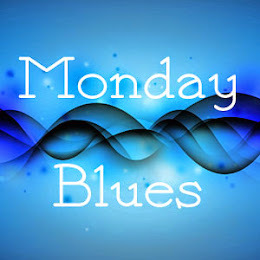 Also, don't forget to check out the rest of today's Monday Blues in the links below!